The Haiku Designs Portland Collection is designed for simple and elegant beauty in your dining room or kitchen. The Portland Round Dining Room Table Set Seats 4 to 6 Settings. 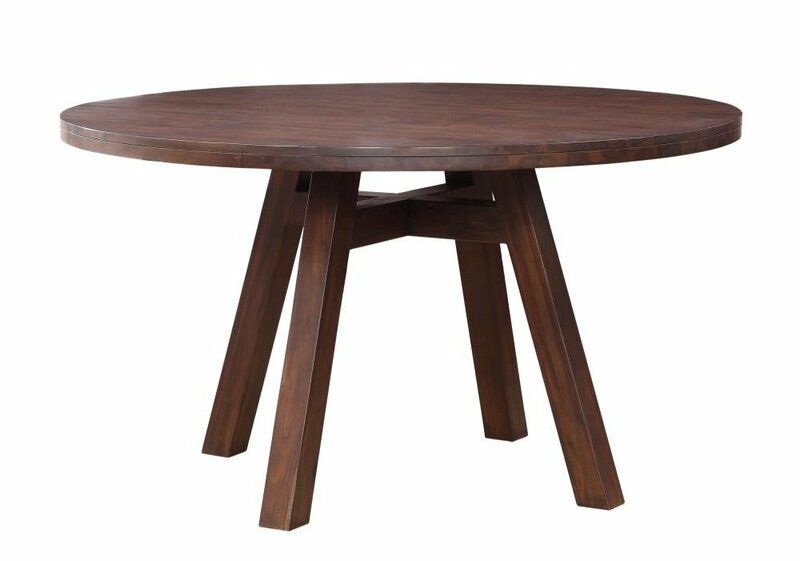 Portland Round Dining Table Features: Crafted from solid butcher block Acacia wood with a delightful dark wood finish. Comfortably seats 4 to 6 settings. 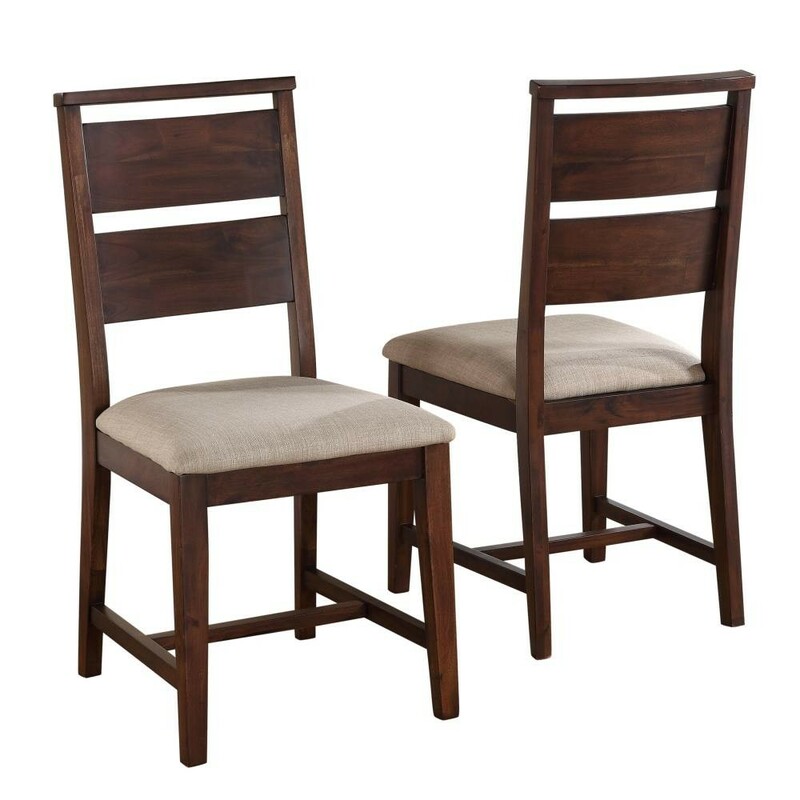 Portland Dining Chair Features: Crafted from solid butcher block Acacia wood with a delightful dark wood finish. Upholstered seat. 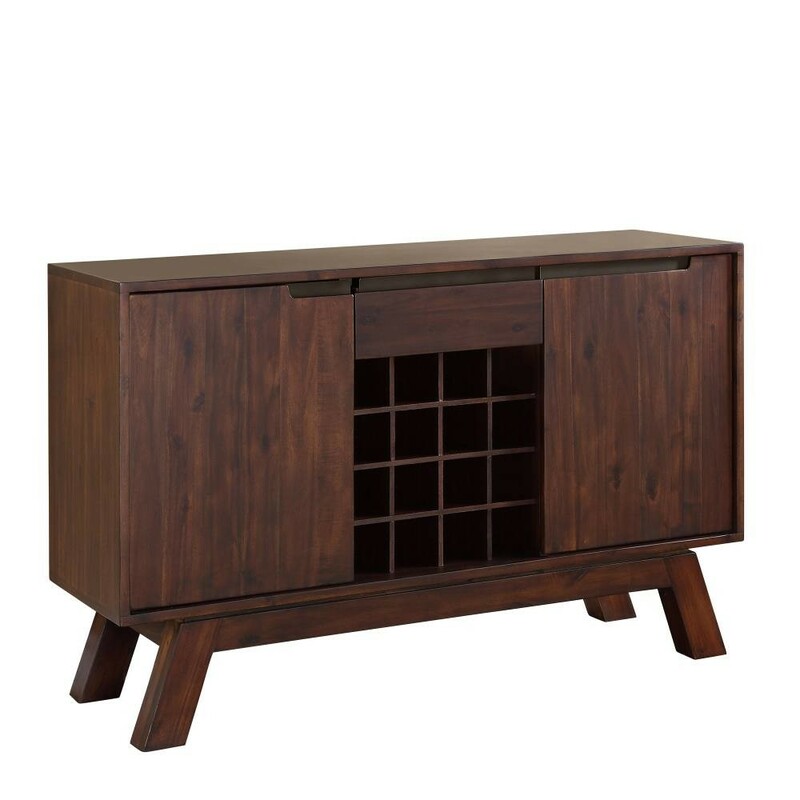 Portland Sideboard Buffet Features: Asymmetrical, integrated drawer pulls are cut in a rounded rectangle shape and accented with oil rubbed bronze metal backings. 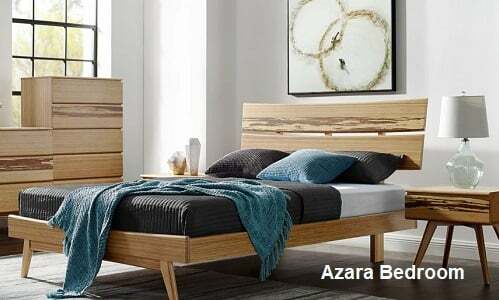 Drawer is mounted on full-extension ball bearing glides and is constructed with a sanded, stained and dovetailed drawer box. 2 cabinet doors on each side with internal shelving. Wine rack space to conveniently and efficiently store 16 bottles.